TUCKED in bed safely and fast asleep during the rising dawn with her three children, Siegfriedine Kaetopora Kahimunu’s never would have imagine that the life of her four-year-old Muhupua Kahimunu would be cut short by a stray bullet. Tragedy struck and the family of four was soon caught between life and death as a stray bullet fired by a police officer on Valentine’s Day entered & penetrated the corrugated iron sheet of their shack. 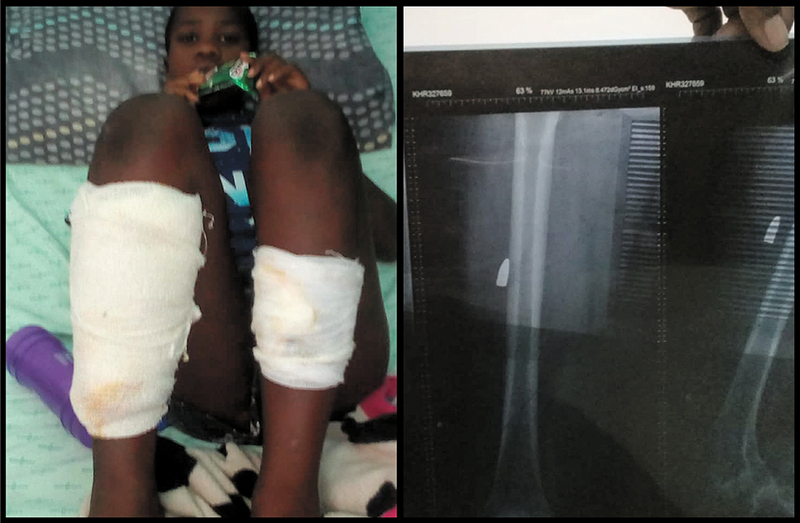 Seated at the Katutura Sate Hospital, an aggrieved Kahimunu reflected on the fateful day, stating that she could not bring herself to believe what occurred that early morning, at around 4:00. She says that she recalls her 11-year son screaming and asked her what was happening. She woke up and reached out to switch on the light to see what was happening and found blood all over before calling the neighbours for help. Kahimunu said neighbours immediately came to her rescue and rushed her to the nearest police station to report the incident. 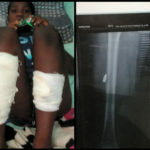 “The police and the ambulance arrived and they took the two boys, age 11 and 4. Since there was no space for me, they had to send another ambulance to pick me up but I was in and out of consciousness. At the hospital I started looking for my boys and it was then that I learned that my youngest son was declared dead,” said Kahimunu. She added that she could not attend her son’s funeral that took place last Sunday at Ombujotjitundu in Omaruru as she was still in hospital with a bullet in her left leg. Kahimunu added that she is unemployed and makes money by selling vetkoek at a nearby school. The police’s crime investigation coordinator for the Khomas Region, Deputy Commissioner Sylvanus Nghishidimbwa, confirmed charges of murder, two attempted murder and negligence of handling a fire arm against the unnamed police officer.